Sustainability refers to the resilience and the thriving of projects, the communities and the individuals that surround them. We need open industry standards. Corporate models (Red Hat, Open Core, LF) Use Crypto to avoid de legacy system. 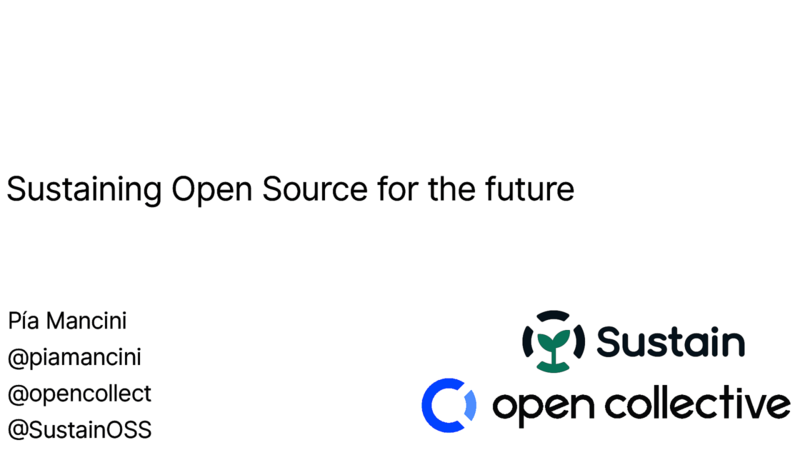 Open Source as a public utility — paid by taxes. Decentralized community shaped sustainability model. We need to come up with a model to distribute revenue, responsibilities and earned social capital that takes into account different roles and supports diverse skillsets. View Sustaining Open Source for the Future on Notist.